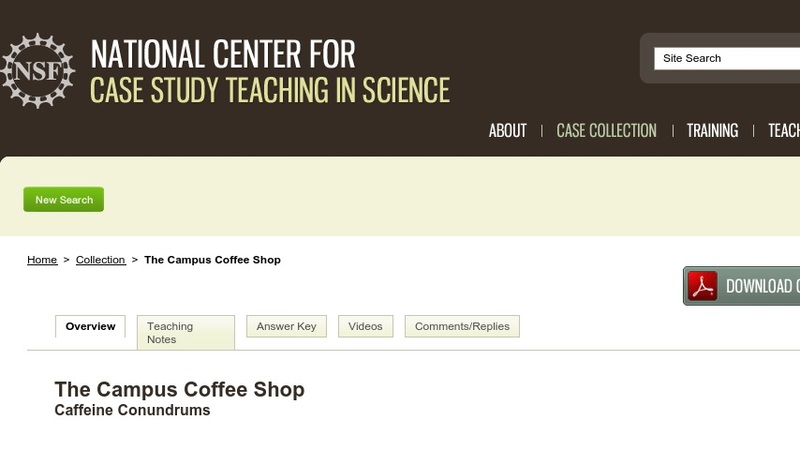 Since caffeine is a widely used substance, especially by college age students, this case on the effects of caffeine on the human body serves as a real-world connection to many students’ lives. The case is divided into sections covering background information on caffeine, cell biology and signal transduction, Parkinson’s disease, cardiovascular effects, and addiction/withdrawal. The case was designed so that a section can be used alone or in combination with other sections, as dictated by topic/curriculum needs. It would be appropriate for use in a variety of science and health related courses, including anatomy and physiology, disease related courses, genetics, cell biology, molecular biology, biochemistry, and neuroscience.